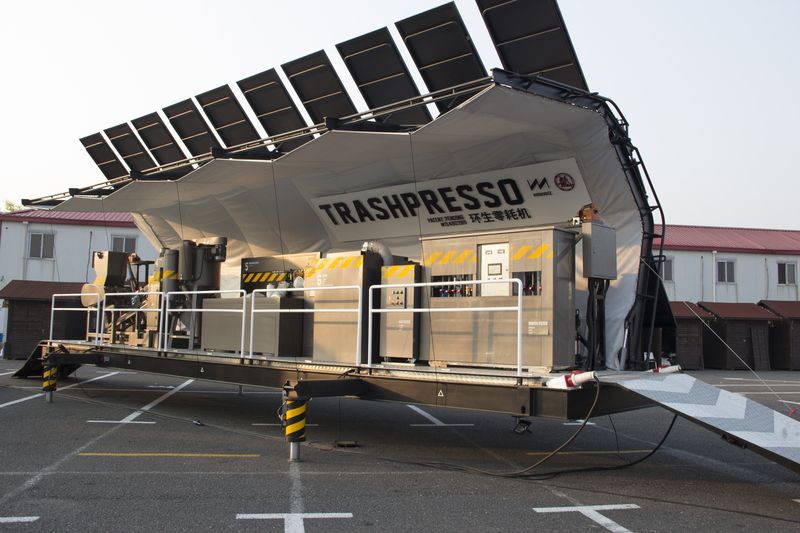 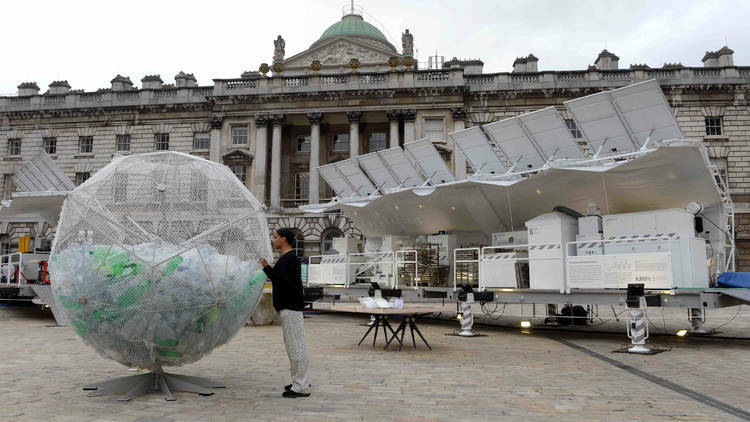 An improved TRASHPRESSO unit hopped westwards across the ocean to be unveiled at London Design Festival. 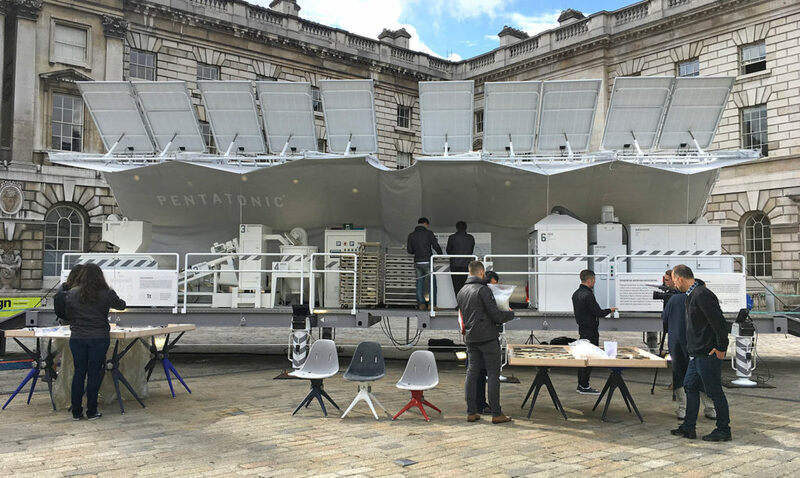 This sleek white edition was specially designed for PENTATONIC, a furniture brand specialized in making products from recycled trash. 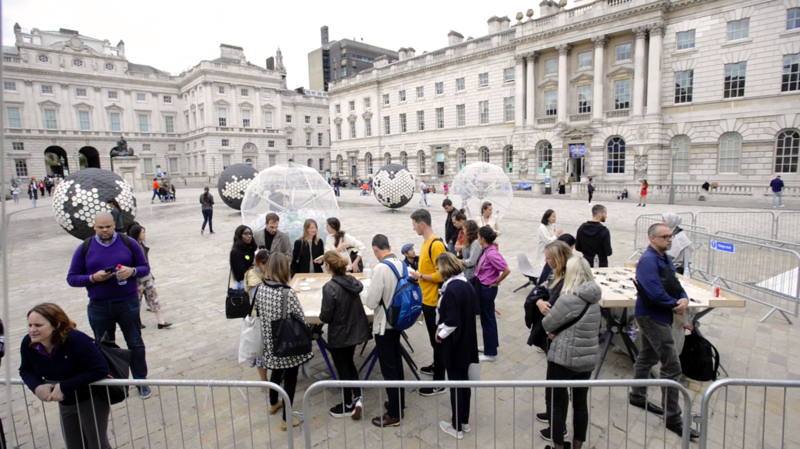 Thousands of visitors interacted with the installation. 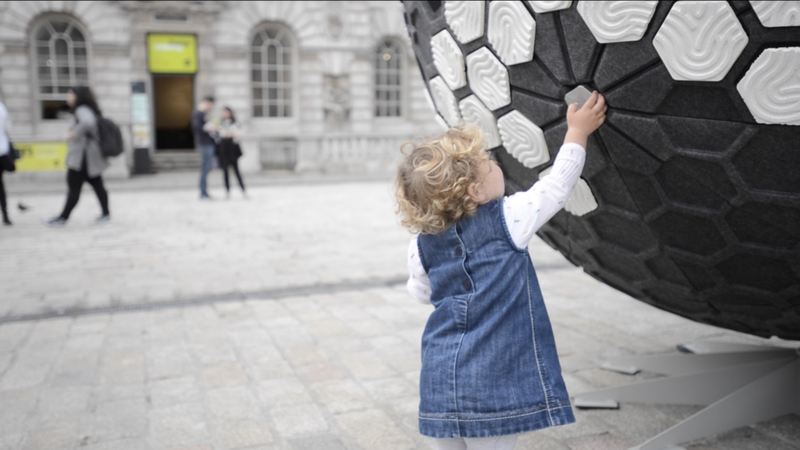 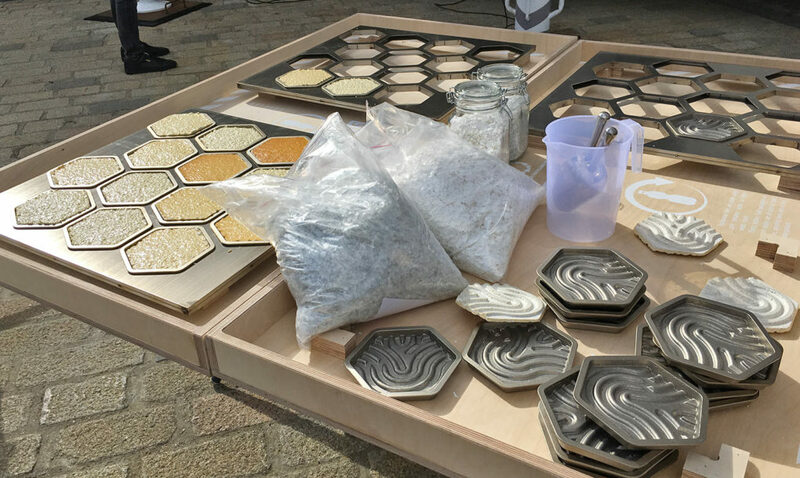 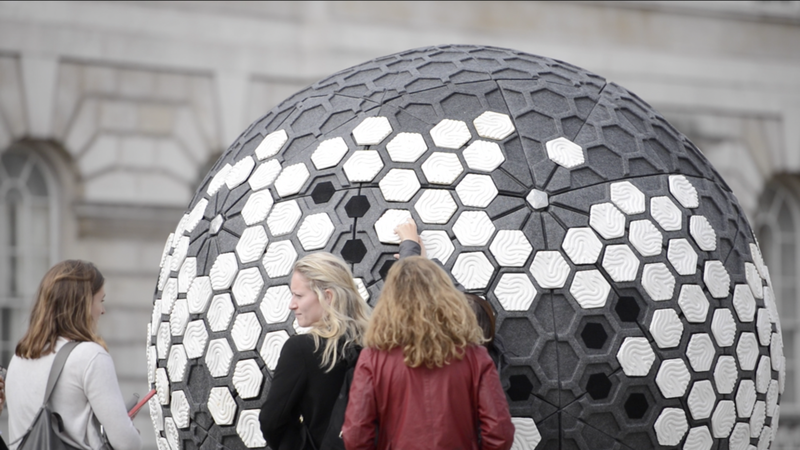 Visitors placed the tiles made on TRASHPRESSO onto black spheres, symbolic of how eco-conscious consumption choices can leave a positive imprint on our planet. 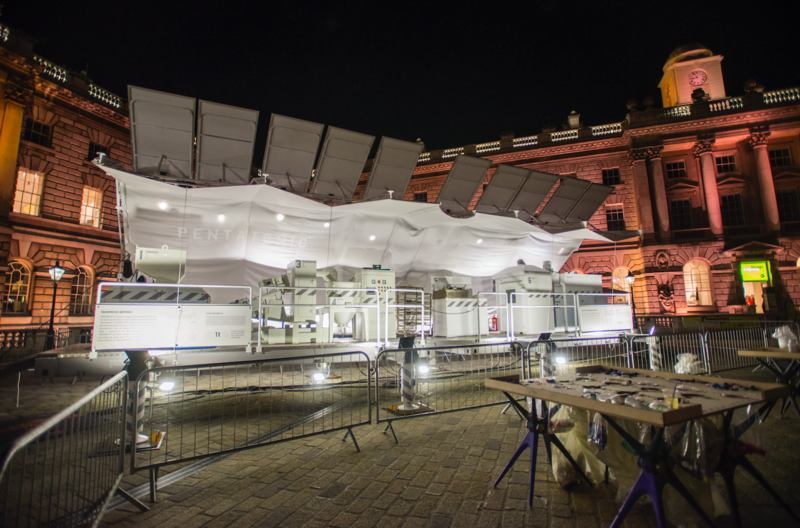 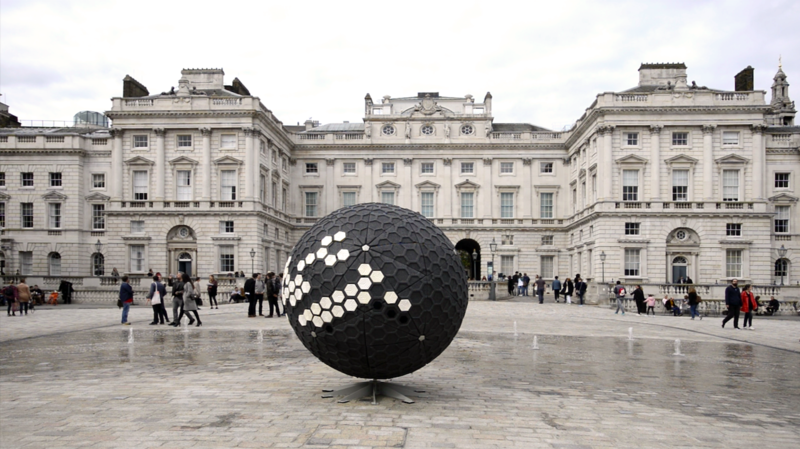 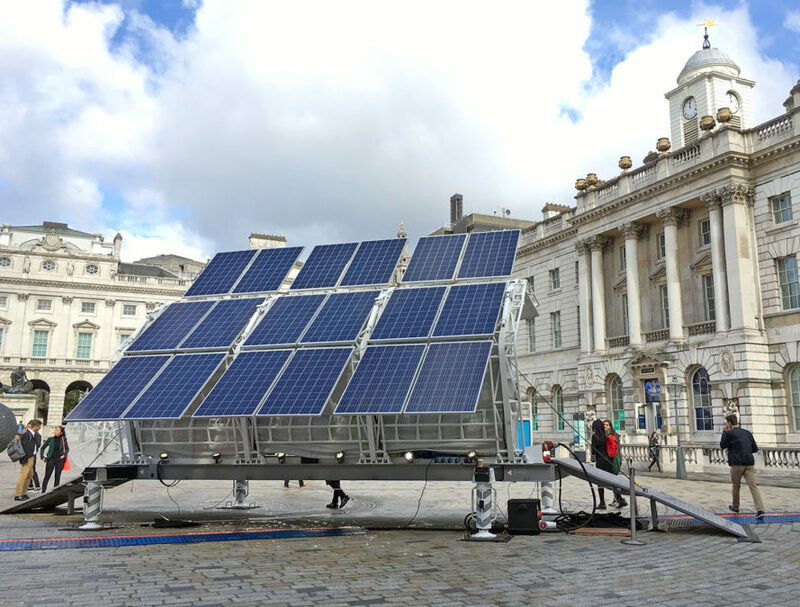 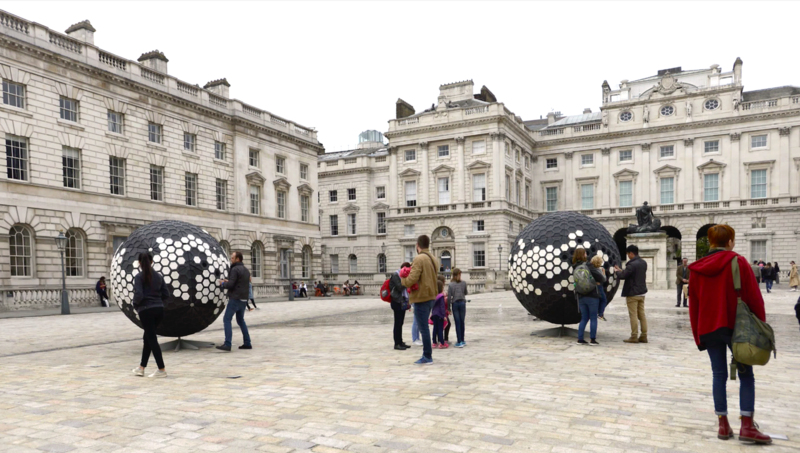 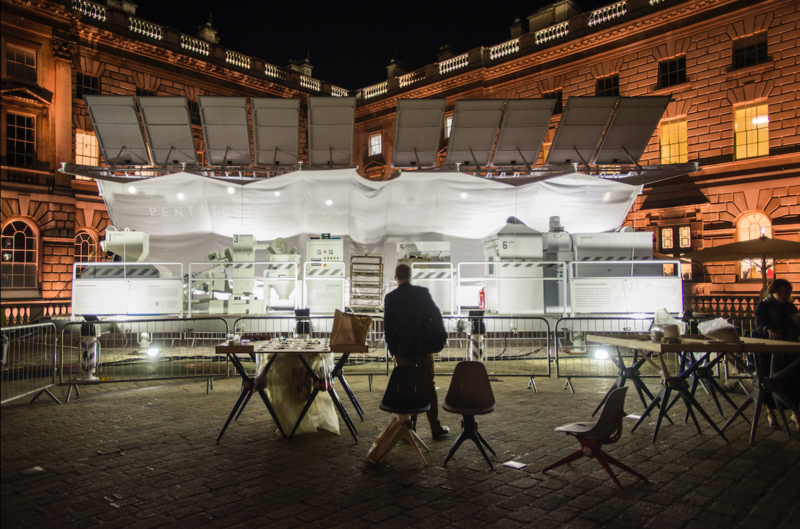 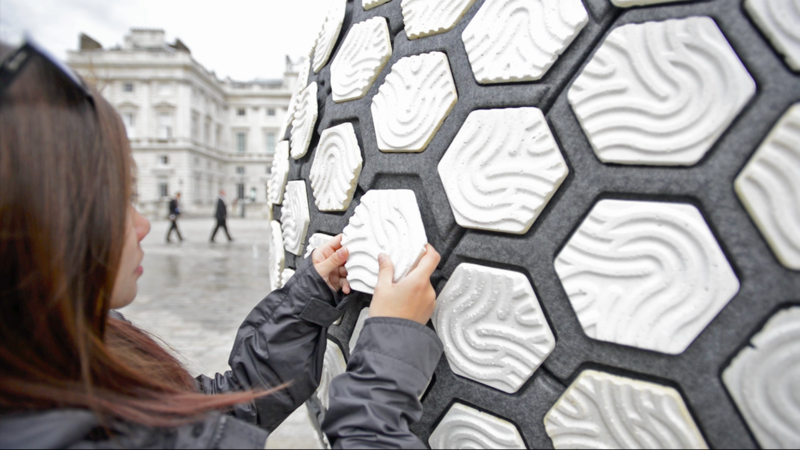 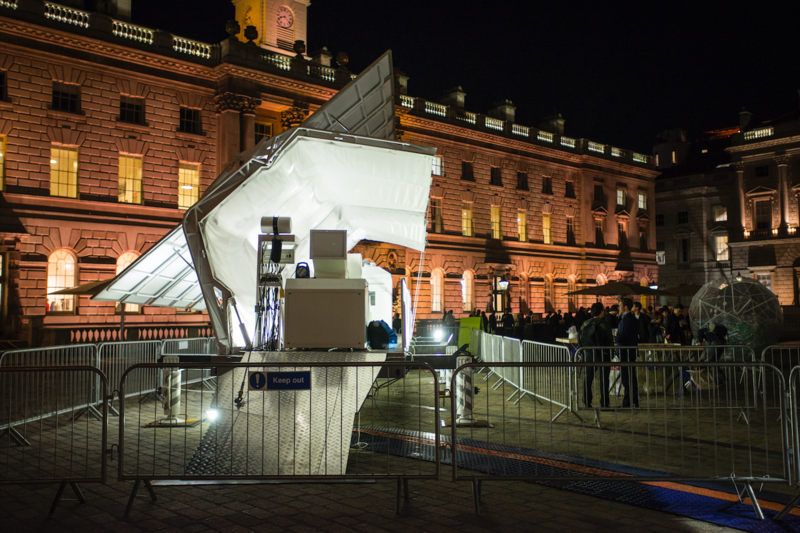 Showcased at the Somerset House courtyard, an iconic London location overlooking the River Thames.